So, this has been an interesting week! I have been speaking to various journalists around the world, trying to help them make sense of the facts and wild rumours flying around the MH370 mystery. I’ve put links to the various articles at the bottom of this post for you to read, if you are interested. I’m happy to say that in every instance, the journalists were bright, interested and very focused on sticking to verifiable information. They all spoke to me for an hour or more and asked intelligent questions. After answering many questions and narrowly avoiding stating assumptions of fact, I quite liked this post on Reddit which discusses this type of analysis: Defining three terms: Occam’s Razor, The Principle of Total Evidence, and The Dog That Didn’t Bark : MH370. With the news over the past week, it’s possible to narrow down the possibilities somewhat. However, all of this is still based on assumptions and until we find the Boeing 777, we honestly just can’t make conclusions with any confidence. The aircraft departed from Kuala Lumpur airport at 00:41 local time en route to Beijing. The take-off was normal. 01:07 The last ACARS data transmission was received. 01:19 The First Officer signed off from Kuala Lumpur air traffic control. He should next have contacted Ho Chi Minh City air traffic control as they entered Vietnamese airspace. 01:21 Ho Chi Minh City air traffic control noted that they had not checked in and began asking questions. 01:30 The transponder was disabled or turned off, resulting in a loss of secondary radar information regarding the flight. 02:14 The aircraft appeared on military radar in the Strait of Malacca. 08:11 A satellite over the Indian Ocean registers the last ping from the ACARS on MH370. The series of pings confirmed that the aircraft was still moving. This is not a lot of information to be going on. Inmarsat and Rolls Royce have been appointed as technical advisors to the UK Air Accident Investigation Branch which is assisting the investigation by the Malaysian authorities. Inmarsat have confirmed that they are “absolutely certain” that the satellites picked up pings from the aircraft for hours after it vanished. This means that the aircraft had power and continued flying until at least 08:11 – at least six and a half hours after it lost contact. 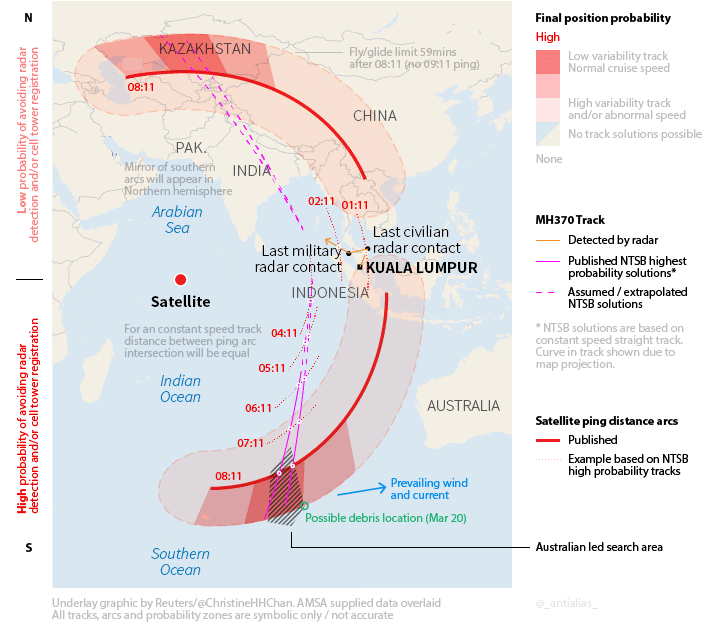 I like this graphic by @_antialias_ because it very clearly shows the “two corridors” which have been narrowed down as possible flight corridors in which the aircraft must have ended up as a result of the (minimal) satellite data. Firstly, it needs to be made clear that the radar transponder “squawks” and the satellite communications “pings” are from completely separate systems (just because its talking about a transponder, that is nothing to do with satellite transponders). The radar transponder sends an amplified signal in response to reception an incoming radar transmission, which has much more power than a simple reflection from the metal skin of the plane, and has additional information about the plane’s ID. If turned off, less sensitive civilian radar will struggle to pick up the plane’s reflection, though military (air defense) radar should still be able to see the plane. But military radar systems are looking for hostile forces and have missed civilian aircraft in the past. Quite frankly, I don’t think we should even think about trying to solve the mystery with so little to go on, but in Sherlock mode, we can look at probabilities. 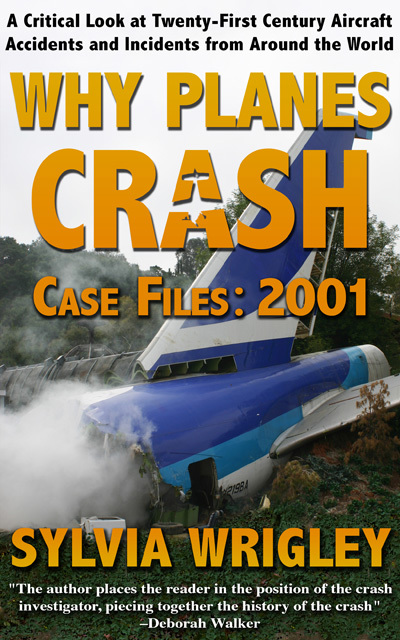 An aircraft disaster is never simple: there’s a cascade of failures which combine in such a way to lead inevitably to the incident. Thus, when I refer to something as coincidental, that isn’t proof that it didn’t happen that way. I just prefer simple theories to complicated ones. So, let’s start with the basic premise: MH370 was either the victim of a deliberate diversion or a series of mechanical failures or a combination thereof. It’s been thirteen days since we lost contact with the aircraft and no sign of the passengers has been found. The aircraft managed to land without anyone reporting an unexpected low-flying Boeing 777. No one has made a ransom demand. Not a single mobile phone has managed to connect. 227 passengers and 12 crew have been hidden and fed with no one noticing. Sadly, I think this theory is more a question of hope that they might be alive rather than a likely possibility. The profiles of the pilots are interesting and I recommend this article on the subject: MH370: profile of missing Malaysian Airline plane’s pilots starts to emerge. Both of them were stable and did not have any signs of extremist views or terrorist connections. The Captain was a family man and the First Officer engaged to be married. But more importantly, I can’t work out any reason whatsover that a suicidal pilot would disable the plane in such a way to leave it flying for seven hours before crashing due to fuel starvation. It makes no sense: a competent pilot would just crash the aircraft immediately, on the spot. In the heat of the moment, he has the element of surprise, so it’s possible to kill yourself using a commercial jetliner, but there’s no possible advantage to dragging it out like this. The same applies to the “assassination by aircraft” theory, in which the aircraft was crashed in order to murder one of the passengers. This seems like the most complicated way ever to murder someone, to be frank, and again, I can’t see any reason why you would want to take your time about it. I’d originally mentioned cargo theft as a possible motive. Take the aircraft, dispose of the passengers and unnecessary flight crew and land in a completely isolated area such as in the desert. There, you meet someone who has agreed to help you transport the gold bullions away with from the plane to sell. However, the cargo has been confirmed to be lithium ion batteries and not gold bullions or some other item worth its weight in, well, gold, it’s very unlikely that the aircraft was stolen with the intent of landing in a remote area to make off with the cargo. Considering the bad press regarding lithium ion batteries recently, it also explains why the Malaysian government was loathe to release the information, although there is no reason to believe at this stage that the cargo was dangerous. We still don’t know for sure that there was definitely a deliberate diversion by someone onboard the aircraft. It could have been a purely mechanical failure with no devious intentions whatsoever. I recommend the article on Wired: A Startlingly Simple Theory About the Missing Malaysia Airlines Jet. It’s a good piece and it fits in with the routing – a left turn at the initial point of failure followed by another left turn at the Straight of Malacca, ready to head back to their home airport. However, I’m not convinced. MH370 departed Kuala Lumpur normally and signed off with the air traffic controller as they left Malaysian airspace and entered Vietnamese airspace. This is extra-ordinarily convenient timing for turning off communication devices and disappearing, so it seems a large coincidence that the ACARS and the transponder coincidentally died as a result of fire just as the crew were changing airspace and switching frequencies. In addition, the fact that the fire took out the ACARS, the transponder and the radio and the flight crew but left the aircraft in a flyable condition for seven hours seems quite unlikely to me. Flying in close formation with another plane large enough to provide a shield is extremely difficult. I find it highly improbable that MH370 managed to catch up to a plane and hide in its shadow without being detected. It’s not impossible and as it has been thirteen days without finding the aircraft, I certainly am not ruling out, but it does feel more like a Bond film than reality. Once you got into position, it be difficult but not impossible to keep up the formation: the pilots just have to listen to the radio communications for any changes in heading and altitude. I just can’t quite imagine how they got into position in the first place. It seems likely that any deliberate diversion was not with the intention of crashing the aircraft but to take it to a new location. Without more data, we really can’t begin to guess what that motive might have been. 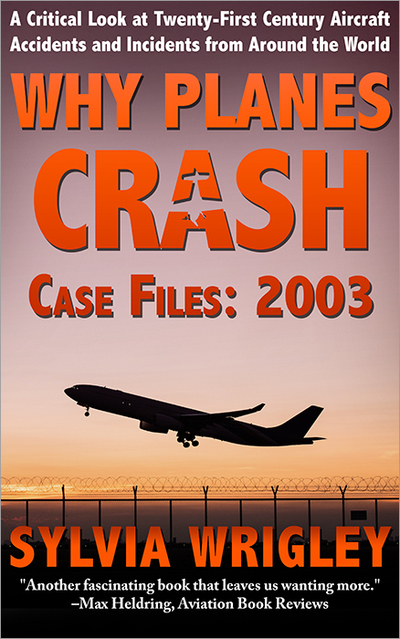 Any modern aircraft disaster consists of a sequence of failures, which within risk analysis is referred to as the Swiss Cheese model. The Swiss Cheese model of accident causation is a model used in risk analysis and risk management. It likens human systems to multiple slices of swiss cheese, stacked side by side. It is sometimes called the cumulative act effect. In the Swiss Cheese model, an organization’s defenses against failure are modeled as a series of barriers, represented as slices of cheese. The holes in the slices represent weaknesses in individual parts of the system and are continually varying in size and position across the slices. The system produces failures when a hole in each slice momentarily aligns, permitting (in Reason’s words) “a trajectory of accident opportunity”, so that a hazard passes through holes in all of the slices, leading to a failure. So considering the data so far, I believe that the disaster that struck MH370 is likely to be combination of the two possibilities: a deliberate diversion followed by a mechanical failure. By this, I mean that MH370 was intentionally “disappeared” as it left Malaysian airspace but before entering Vietnamese airspace, in hopes of delaying search and rescue missions. If so, this was successful: the Boeing 777 was recognised as not responding as expected very early on but was not in fact reported as missing until after its scheduled landing time in Beijing, even though Vietnamese and Chinese controllers knew it had not followed the route to its declared destination. But then at some later point, something else went wrong, possibly as a result of a struggle for control of the cockpit. Now the aircraft behaviour is no longer in line with the motives for the deviation, which is why it is so impossible to make sense of what was planned. I had previously considered a simple decompression event like Helios Airways Flight 522 to be unlikely. This was because the aircraft would continue to transmit ACARS and the transponder would continue to supply secondary radar information even though there was no one controlling the aircraft. However, if the decompression happened after the deliberate diversion, perhaps as the direct result of a weapon (gun, bomb) going off, then it is possible that the aircraft was flying as a ghost plane for the latter part of the flight. But this is all second guessing, trying to fit the sparse facts we have into some sort of sensible narrative. Have I mentioned that I also write science fiction? It’s a weakness. Meanwhile, the most important thing is the search operation, to help us to find more. Favourable conditions were encountered in the area of ocean being searched for debris that might be related to the missing Malaysia Airlines flight MH370. But Royal Australian Air Force pilot Russell Adams’ squadron could not locate the two objects spotted on satellite images that sparked the ocean search on Thursday. Finlo Rohrer: BBC News – Mechanical v human: Why do planes crash? It’s shaping up to be an amazing story. I sadly agree, there’s no hope of any of the 239 being alive now. Aircraft Hid in the Shadow of Another Aircraft: another reason this is unlikely is that the pax/crew of the shadowed aircraft are likely to have seen MH370 as it was allegedly flying so close. Did you hear the reports of sightings over one of the Maldives? From a number of independent people and sounded credible – and The Maldives are within the range of possible flight. Assuming it ended up in water, as time ticks by the more spread out all the bits are going to be. What if the pings suggesting the corridors are somehow wrong and the search is concentrating in the wrong areas – it’s quite possible we will never find the plane. I think that I already commented on most of the possibilities that are mentioned in this new and well composed) resume. Still nothing offers us a solution. A rapid decompression can be ruled out. Any reasonably well trained crew can deal with it. It scares the heck out of the passengers, but in real life is a non-event. Believe me, it happened twice in my career, once at FL 370 and the second time at FL 390. What the authorities so far seem not to have been willing to release is whether or not the ACARS has continued to transmit signals about the mechanical well-being of the aircraft. But this system would not really allow investigators to plot the further flight path of MH370. Normally the housing, the wheel well, of the nosegear is not part of the pressurised part of the fuselage. I am not familiar with the B777 but can not see why this would be different in this type of aircraft. Smoke from a burning front wheel would hardly penetrate the cockpit, most unlikely to the extend that it would incapacitate the crew. A Draeger smoke hood is normally part of the emergency equipment and incorporates oxygen generators. Even though the oxygen source eventually will be exhausted, it should have given the crew plenty of time to declare an emergency and initiate some sort of action. And the mystery remains of the sudden disappearance of the transponder signal. Lacking – still – any other rational explanation I still maintain that ATC assumed, wrongly as it now appears, that the aircraft went down in or near it’s last known position so that valuable, even essential time was lost tracking, or trying to track primary radar returns. There are theories about the aircraft descending to an altitude too low to be picked up by radar. All well and good, but the fuel consumption of a jet aircraft, once below FL 300, starts increasing dramatically and the endurance, and therefore the range, of the B777 may well have been reduced to less than even a third if flown at very low altitude. Interestingly, I have once participated in an ATC experiment. On a flight between Shannon in Ireland and Prestwick in Scotland we were assigned a transponder code – sorry, I am not at liberty to reveal which – that made the aircraft disappear completely from the civilian radar screens. We did not even show up when “sqauwking ident”, an action that should have made our aircraft appear on the radar like a super nova. It all goes to prove that modern technology, designed to allow ATC to cope with a very much increased amount of traffic, is poorly equipped to deal with a situation that is totally out of the ordinary. A shipment of gold ? Far too heavy to be transported in an aircraft with mixed passenger- and cargo accommodation. I had mentioned diamonds as more likely. Dangerous goods, perhaps improperly loaded or damaged ? Lithium batteries are not normally unstable unless being charged. It is the process of charging and discharging that can set up a cycle of thermal runaway. Maybe it is a possibility, but it does not really fit the rest of the scenario. Some journalists made hay with a story that the captain had a home simulator and had files erased. This is a total non-starter insofar as I am concerned: Many pilots take great pride in their profession and own a computer program that allows them to “fly” many types of aircraft at home. Many accessories can be bought, like control yokes, rudder pedals and a console with basic controls for engine, flaps and undercarriage. It is a bit akin to having a study at home and taking work home from the office, but to me it is the hallmark of a thorough and total professional and probably amongst the best of the best of his peers. Since airlines put their crews in the type-dedicated simulators at least twice a year and keep records of their performance, there is no need to clutter up the HD of the PC at home with records of the private simulator. The BBC article of Tom de Castella, btw, includes some of my comments ! It is to be hoped that something will be found that finally explains what befell flight 370. Lacking any other credible explanation it still seems likely that there was some form of unlawful interference. Perhaps even masterminded well in advance. Tom de Castella of BBC News has approached many (veteran) pilots for some comment. My own are buried in the comments, used as they were mainly to verify facts but Sylvia gets the honour of actually being named with her very valid remark about the fact that in many poorer countries ATC radar is primary and therefore subject to clutter. I recall an African airport, early in the morning. Many aircraft are calling for start-up. All are given delays, often substantial, due to arriving early morning traffic. All arrivals and departures (STAR’s and SID’s) are channelled via one single VOR north of the airport. Our Learjet 25D is the one and only aircraft given clearance to start with less than 30 minutes delay since we can make this VOR well above FL 170, something no other civilian aircraft of the time can match. Mind, the little Learjet could also burn 500 lbs taxi fuel if delayed for take-off. So we keep the GPU attached and the ground airco running. A voice comes on the radio, demanding with a lot of authority immediate start-up clearance. The response comes “30 minutes delay for you, too. Heavy incoming traffic”. “We have the President on board”. It must have been a very brave ATC controller because he responded: “He is the man we want to delay most. He is responsible for the fact that the new radar system still is sitting in boxes underneath the control tower”. And still no news ! The search now concentrates on an area about 1600 miles south-west off Australia. – Flight MH 370 disappeared off the radar immediately after a routine hand-over to Shanghai (Ho-Chi-Min City) ATC. – No further calls nor conversations have been received from the flight. – A search in the area assumed to be the site of the crash fails to locate anything. – There are no ELT transmissions nor “pings” from the flight data recorder. – Secondary radar might have been able to track the aircraft but valuable time has been lost. – Slowly it emerges that the flight, after switching off the transponder, remained aloft for perhaps many hours. – Nothing indicates a major failure of any components. – The only remaining valid theory is unlawful interference of some sort, but by whom ? – The captain owned a sophisticated, PC-based flight simulator and mention has been made of some data having been erased. – There is nothing sinister about a private individual owning such equipment keeping the HD clean. It can likewise be an indication that the captain was a dedicated professional. Keeping himself at peak performance is something that is laudable. There is no reason whatsoever for records being kept. – The flight path as traced and reconstructed points to a deliberate change of course. – The reason for the subsequent possible route remains a mystery but the most likely explanation is that the autopilot was changed from the navigational mode to the heading mode. This would seem to indicate that control was assumed by someone familiar with aircraft FMS and navigational systems. – There is also a theory that the aircraft descended to a lower altitude, possibly as low as 5000 feet. If so, this would have substantially compromised the aircraft’s endurance and lowered the maximum TAS or cruising speed. – It must be assumed that the authorities are in the process of a thorough audit of the background of any persons known to have been on board as well as a search for clues about the cargo. – Dangerous goods in the cargo may probably be ruled out. There are strict guidelines and restrictions on the nature and quantity of hazardous material that may be carried in a passenger aircraft as part of the cargo. Copies of the captain’s NOTOC would confirm or eliminate this. – This of course does not apply to material illegally smuggled on board although that should have been prevented by airport safety checks. The mystery does not deepen: it has already hit rock-bottom. I feel very much for the poor surviving relatives who still have not heard anything about the fate of their loved ones. The fact that several authorities from countries with very different cultures and political systems are involved surely cannot help, either. Diamonds would make more sense, I will save that one for next post. My understanding is that the ELT will not work underwater so even if we got into range of it, there would be no signal. It must be so awful for those left behind, waiting to hear what happened. I do hope that a breakthrough is soon so that they can have some closure. The radio stations were just breaking the sad news that it now must be assumed that MH370 went down in the southern Indian Ocean with the loss of all lives on board. Even with this confirmation there still are many questions to be answered, most discussed here. The first and foremost of course is the still unexplained riddle of the “how”, “why” and “by whom” ? Because there still is a very strong likelihood that the aircraft has been the victim of some kind of unlawful interference. But at least there now can be some kind of closure for the relatives. I still believe that the captain’s personal flight simulator would indicate that he was a highly dedicated professional, a credit to his profession. The ELT is designed to break loose, float and start emitting a signal. The frequencies, at least of the ones I have been familiar with, are not long enough to successfully penetrate through deep water. We can but hope that enough of the aircraft, including especially FDR end CVR, can be salvaged to shed light on what caused this bizarre accident. Hi, I am not an aviator but rather an enthusiast of aviation and I am a Malaysian. The disappearance of 9M-MRO Flight MH370 is indeed a one of mystery of its kind. 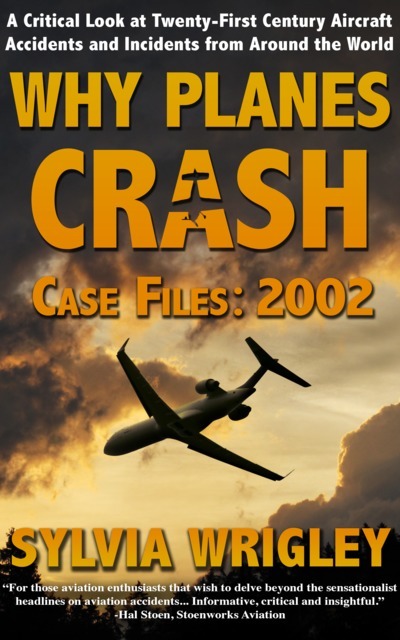 I have gone through Skybrary.aero and Flight-Safety.net looking for similar (or at least) incidents but to no avail. The closest is the Air France and Helios Airlines cases. There are many theories emerged to explain how can a B777 just suddenly disappear from ATC radar at the South China Sea Igari waypoint, made an opposite turn and headed towards the northern part of the Malacca Straits and disappeared at Igrex waypoint. Yesterday evening, it was only confirmed that MH370 ended some 2500km west of Perth, the southern most of the Indian Ocean. The hijack theory – Am inclined to look at both motive and the act. Theories suggested valuable cargo, VIP passengers and even the Uighurs and Talibans. If the “hijackers/spies/covert ops agents were going for the VIP passengers or cargo, it would made more sense (and easier) to intercept them when they were on ground. If the Uighurs or Talibans were the hijackers, surely there will be some kind of message or demand made known to express their point. The pilot’s free time passion of playing flight simulator and building his home brew flight cockpit led some to imagine a highly covert spy like operations that the aircraft was taken control by a spy (some suggested it was remotely intercepted) and piloted to Diego Garcia where the cargo or vip was removed from the aircraft before it fell into the hands of somebody when it or if it reaches Beijing. The theory went further to suggest the crew and passengers were killed and the plane was flown remotely (again) until it went down somewhere deep where it will be impossible to retrieve the Black Box to hide the truth. Yesterday’s official Malaysian revelation on Inmarsat pings has confirmed that the aircraft was actually flying southerly some 8 hours after Igrex waypoint. This satellite handshakes had quashed the above mentioned theory in total. e) How come none of the 239 crew and passengers tried to make any emergency radio communication? f) Did they become unconscious? If so, why? g) What happened to the pilot and co-pilot? Who piloted/controlled the aircraft from Igari to Igrex and from Igrex to south? From past cases, especially the Air France and Helios, I can only see that the crew and passenger became unconscious and later died due to some toxic fumes or decompression. This likely had caused the transponder to be disabled and eventually the ACARS. I do think that the radio communication system was affected too even though at Igari the pilot seemed to still have control by pointing the aircraft to Langkawi International Airport for emergency diversion and landing. However the pilot and co-pilot too became unconscious before reaching Malacca Straits. This is evidenced by the erratic change of flight altitude. Recoving the Black Box will indeed unravel the mystery. You make a number of valid points – even though I cringe when I read or hear a brightly dayglow-orange coloured object described as a “black box”. In the not so distant past journalists seemed to feel free to spew all kinds of nonsense when it came to writing about an aviation accident. Fortunately, this tendency seems to be less frequent now. Perhaps because real aviation experts like David Learmont are increasingly asked to comment on aviation mishaps. But still, the press has determined that orange coloured flight data- and cockpit voice recorders are “black”. That out of the way, we now know that flight MH 370 went down about 1600 miles to the SW of Perth. Accurate information about the altitude of an aircraft comes from the data superimposed on the ATC transponder returns. These instruments are receiving their information from the aircraft air data computers. With the transponder switched off, how reliable is the information about the aircraft’s flight level ? In my opinion, it certainly did not descend to 5000 feet because any aircraft, and a jet aircraft in particular, will suffer a substantial penalty in TAS and a large increase in fuel consumption when cruising at lower than optimum altitude. As an example: the last aircraft I flew was a Sierra Stallion, a modified Cessna Citation. A regular trip was a flight between Dublin in Ireland and Lviv in Ukraine. In order to be able to do this non-stop, we had to cruise at FL 430 (43000 ft). Any lower and we had to make a refuelling stop en-route. In other words, in the case of the missing B777: if it did not remain at high cruising altitude it would have gone down much earlier, probably well before it would have been able to reach the area where it is supposed to have crashed in the sea. About what really happened, many unsubstantiated guesses abound. Lithium batteries are more prone to trouble than other types, like NiCad batteries but even so, there should have been time for the crew to send out a distress message. And after a catastrophic explosion, how come did the aircraft stay in the air for several hours ? Why did nobody or no group claim credit ? Suppose a hijacker or group of hijackers gained control of the aircraft. Suppose they did so by releasing a toxic gas into the cockpit and cabin, killing everyone on board. Suppose they had an accomplice who substituted the aircraft emergency oxygen bottles with bottles containing toxic gas. Suppose the hijacker(s)had portable oxygen bottles and -masks so they remain conscious. Now, again suppose that one is the designated pilot, one has the knowledge and skills to turn off the transponder, silence the ACARS, make a course change and reprogram the FMS. Suppose that the portable oxygen system of the terrorist who could fly the plane was defective or developed a leak. And assume that this individual lost consciousness or died before his comrades noticed. This would mean that nobody on board, nobody alive and conscious, could fly the aircraft. Ridiculous ? Yes, I agree. It is. But until the aircraft is located and the orange boxes are found, it still is unknown what really happened. After my own bit of speculation it appears that finally the press has opened the floodgates. I did not read the articles. The headlines were enough. According to some journalists, the aircraft flew at 5000 feet, or lower. Low enough to stay below the radar. How it managed to stay aloft for 7 hours or so is left out. Obviously the journalist who wrote the article did not know that a jet aircraft gulps fuel at low altitude. Another puts the aircraft at 45000 feet after which the suicidal pilot puts it in a nosedive. The aircraft then, according to the headline, broke up either in midair or on impact. Not entirely implausible but it does not explain why the flight continued for so long and without any communication. Not even from a passenger using a cell phone. I am not certain that a 777 can cruise at FL 450. It would have required a long climb at a speed increasingly close to the stalling speed, as well as near the MMO, the maximum safe Mach number for the aircraft to operate at. We do not know how or why the aircraft came to deviate so far from it’s intended path nor what So we can dovetail this story quite easily into the scenario: For some reason, we do not know why or by whom, the aircraft ceases all communications, turns off the transponder and ACARS, makes a sharp left turn and flies south. Nothing it does makes sense and whoever is in control certainly does not observe legalities. So it is not entirely impossible that they try to maximise the range by trying to get as high as possible. Eventually, in the rarified air the airplane suffers what is called an “upset”. It might have hit some turbulence or the hijacker is a bit rough on the controls. But the aircraft, in an attempt to climb higher than it’s usual operating altitude comes too near to the stall speed. The stick pusher operates but the aircraft is at an altitude called the “coffin corner”: near both the stall speed, the minimum speed, but also near it’s MMO or maximum operating Mach number. The aircraft noses over, in a dive it now picks up speed and nearly at once exceeds the MMO. Many years ago, a Boeing 727 got itself in this situation when it attempted to climb over a thunderstorm area. The crew managed to save the aircraft by lowering the undercarriage and using them as an air brake. MH 370 might well have gotten itself in a similar situation and without decisive action the aircraft is likely to crash, perhaps even to disintegrate before impact with the sea. There are other theories: Suicide of one of the pilots is one. Another one is that some mistake was made when refilling the oxygen system, charging it not with oxygen but some other gas. If the aircraft had suffered some form of damage, causing rapid or explosive decompression, all occupants, crew and passengers alike, would have been incapacitated. But that does not explain why all communication was lost, including the transponders. One journalist suggested that following a rapid decompression the oxygen on board might have ran out before the aircraft reached a safe altitude where the air would have been breathable. That is pure nonsense. There is sufficient time during an emergency descend before the oxygen runs out. I have done it twice myself. We had a rapid decompression at FL 370 and a week later at FL 390. The second time due to a flawed repair. The first time, after we were at FL 110, we cancelled the emergency but nevertheless the runway was lined with fire engines. They followed us until we were parked and formed a semi-circle around our aircraft. Scarier for the passengers than the actual incident itself. The second time, at FL 390, we were already cleared to descend to 9000 ft so we did not declare an emergency. We just descended a bit faster than normal. Nobody died as a result of a lack of oxygen and anyway, once below 25000 ft (FL 250) the air starts getting breathable and the time a normal, healthy person can stay alert increases exponentially with the rapidly decreasing altitude. Again, not impossible but how did the 777 get into that situation ? Tantalisingly, debris is spotted but nothing has been actually found yet that can be positively identified as being from flight MH370. And it gets weirder and weirder…… ! Now suddenly the search has shifted to an area about 600 miles north of the location where, it had been reported earlier, debris had been spotted. What has now emerged, according to news released to-day, is that radar tracking has determined that the aircraft did not fly as far as previously thought. In my admittedly rambling comments, I have tried to explain the difference between primary and secondary radar. When the transponder was switched off, the first reaction of ATC would naturally have been to assume a crash in the area of the last known position. 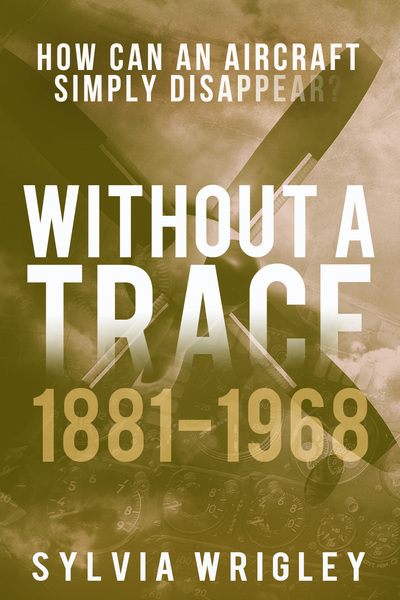 When searches in that area proved fruitless, other traces related to the assumed or potential flight path had to be examined. But valuable time was lost. Piecing the available information together is akin to trying to assemble a complicated jigsaw puzzle. With many parts missing and other parts belonging to a totally different image. Add to this the problem that many pieces are with other people and you can begin to understand why it took so long to make sense from the emerging data. The aircraft altitude can be reconstructed by simply combining the angle of the aerial with the distance of the return. But first it must be ascertained that we are looking at the correct return in the first place. This method is much less accurate than the returns from the transponder. Transponder signals with data from the on-board flight data computers superimposed transmit extremely accurate information about altitude, speed, etc. Slowly, very slowly, a picture of the flight path may have emerged. The result of painstakingly eliminating returns that are other aircraft or noise. Not surprisingly, this has taken a long time and still can not be assumed to be totally accurate. 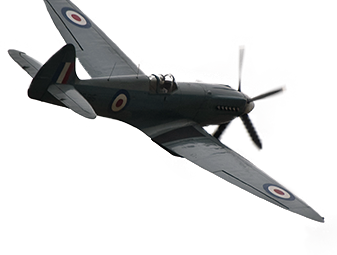 I have in previous contributions mentioned my doubts about the assumed range of the aircraft. To-day the news releases tried to convince us that “the aircraft had flown at a higher speed than previously thought and therefore had burned more fuel.” This to “explain” why the search now is shifting to an area closer to the area from where it is supposed to have been when some still unknown incident made it change course. This again is mainly poppycock. The fuel consumption, and therefore the range, of modern jet-powered aircraft is primarily affected by ALTITUDE. The higher, the more efficient. To a certain extend because the stall speed – the minimum speed at which an aircraft can fly safely – increases with increasing altitude whilst the maximum speed(at high levels expressed in a percentage of the speed of sound or Mach number)decreases. Add to this the fact that when an aircraft makes a substantial speed reduction the drag goes up, causing a possible INCREASE in fuel consumption. Jet engines are usually set to operate efficiently within a rather narrow band and it will become apparent that once at cruise (= high) altitude, the pilots of a jet airliner do not have much leeway to increase or decrease the speed. We will have to wait and see !